Here a Burford House and Gardens we offer a wide range of services and suggested suppliers. From florists, to caterers, to photo-booths, we've got it covered. Please request a Wedding Plannign pack via our contact page for all our information. Here at Burford House and Gardens we are lucky enough to have a Bridal Boutique right here on site. Burford House Bridal offers you the most amazing experience when you come to try on your future wedding dress. Debbie stocks a stunning range of Pronovias dresses for you to try in our beautiful boutique environment. This is the most important dress you will ever buy so we want to make sure that you get the right one for you. When you come for your session you can be assured you will be the only bride so Debbie can dedicate all her resources to making sure you find your dream dress. For more information about Studio 83 and all of our other trusted suppliers and services, please request a Wedding Planning Pack via out contact page. Sue has a creative nature and a gentle approach and works by appointment only to offer her clients the one to one personal service they deserve. 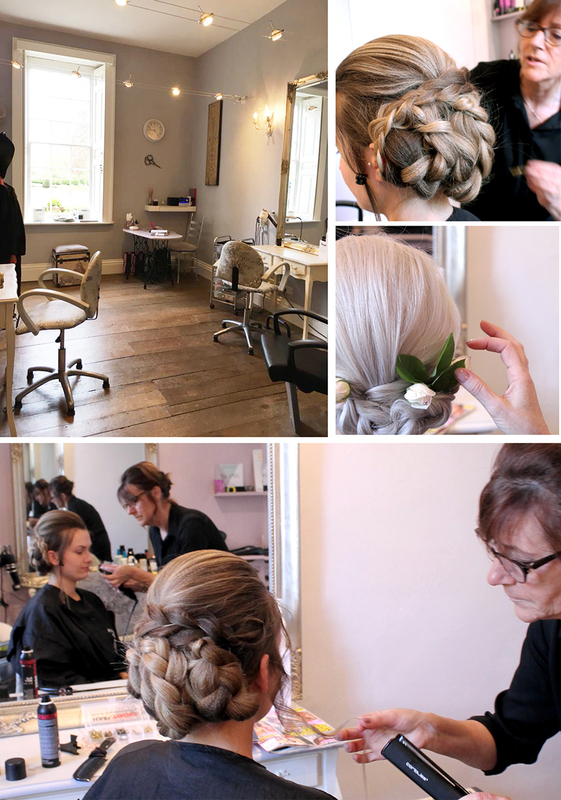 Situated in the manor house itself, the salon is the perfect location for any Burford House bride! Wedding planning at Burford House & Gardens is a real day out. In between having your hair consultation at Studio 83 and your private dress fitting at Burford House Bridal, you can treat yourself to afternoon tea at our on site Cafe/Bar. Looking for an unique gift or table decoration...? Chattelier is a boutique of treasured possessions from past and present, for you, your home, your loved ones, your lifestyle. As an Antiques Dealer for over 30 years and former lecturer of Interior Design and Specialist Decorative Techniques I have an instinctive and well trained eye for beautiful pieces of Furniture, Mirrors, Lamps, Interior Accessories and Gifts. We have an ever changing collection beautiful objects, vintage and new, sourced from far and wide, our shores and beyond that will enhance home and lifestyle, dress wedding and event venues, make treasured gifts for special occasions and become future heirlooms. Perfect for unique gifts or wedding props Salvaged Ltd has a wide range of unusual and eclectic finds! Salvaged is situated in the Coach House, with its listed clock tower, where you can come and browse their individual collection of interior items and then step outside to take a wander around the garden area to find that must have item. 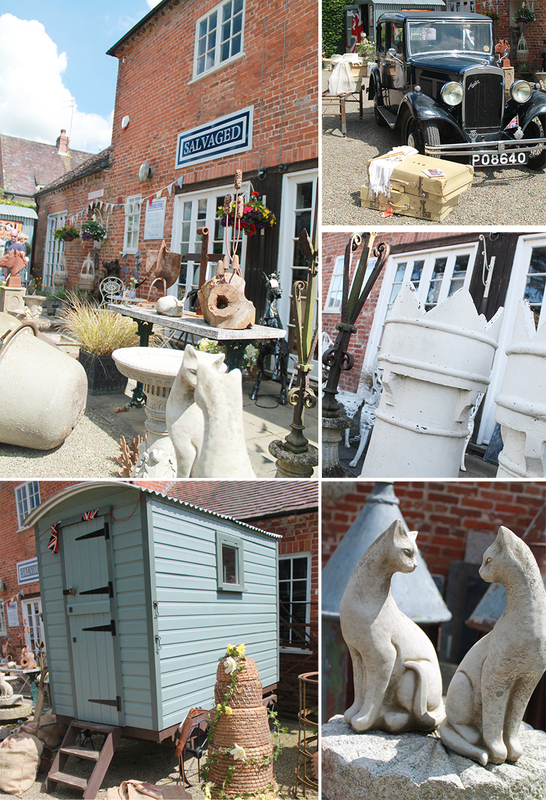 Salvaged has a wide selection of new and reclaimed period items for the home and garden. All items are hand picked, so you are guaranteed to find something different every time you visit. A family run business, they aim to provide a friendly value for money service.